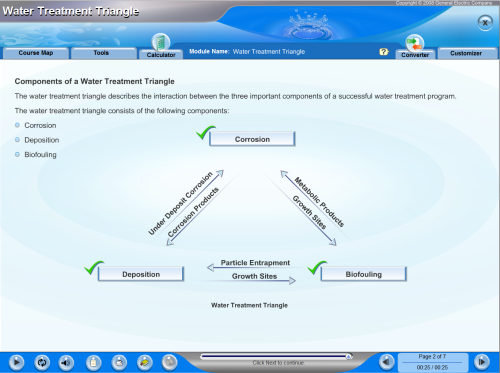 Water Consultants of America’s customers are offered On-Site Training Seminars and access to our Web-Based Training Library. 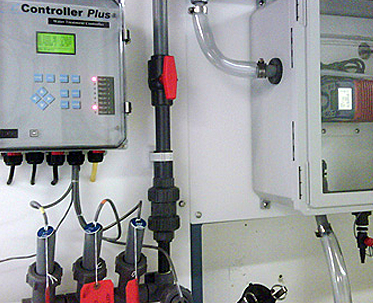 These features allow our customers access to additional educational resources on how to obtain the best environmental, financial, and most efficient results with their Water Treatment Program. Training is a key aspect of any effective Water Management Program. For this reason, WCA is able to provide training seminars on water chemistry designed for operator use, as well as sessions to train our customers on the use, application, testing, and control of the products used in their Water Management Program. Our trainers are experts and leaders in their industries and individually have more twenty years experience in both the application and development of water treatment technology. They are also Certified Water Technologists and routinely serve as trainers for the Association of Water Technologies among other associations. These materials provide additional opportunities for our customers looking to enhance their knowledge of water treatment. Some of the materials our customers are given access to include both web-based training and a library which is comprised of technical reference papers, water treatment primers, and best practice training materials. These training courses are self-paced, and available 24/7. These trainings come with reporting and completion monitoring tools and are an excellent vehicle to implement for meeting Continuing Education requirements.